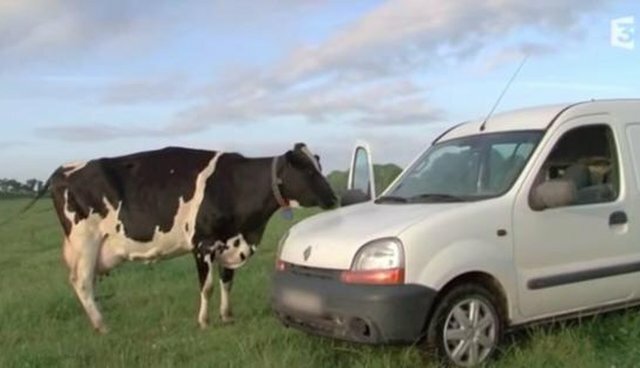 A video shows the overwhelming love a mother cow has for her baby - even as he's being taken away forever. The video, which is a few years old but recently resurfaced, shows the moment a mother dairy cow is separated from her hours-old baby. 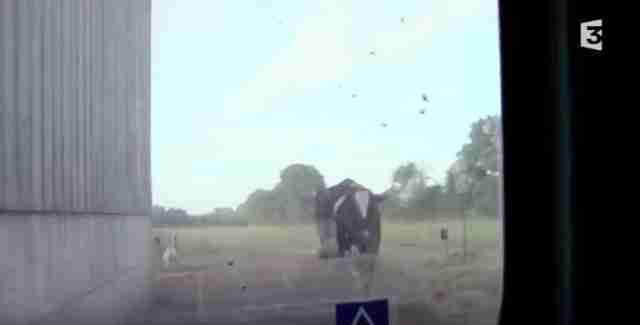 The clip opens with the mother cow walking through a pasture, her newborn calf tottering along behind her. A farmer approaches, driving them apart and catching hold of the tiny calf as he strains to reach his mother. But the sadder shot is of his mother, ambling behind the truck and then running as she struggles to keep up with her baby. Yet she can't reach him, even as the calf inside the truck calls out plaintively. The video ends with the calf being thrown into a pen, surrounded by other calves who've been taken away from their own mothers. As the other babies cry out, he collapses into the straw, afraid and alone. Sadly, these separations are an inevitability of the dairy industry. 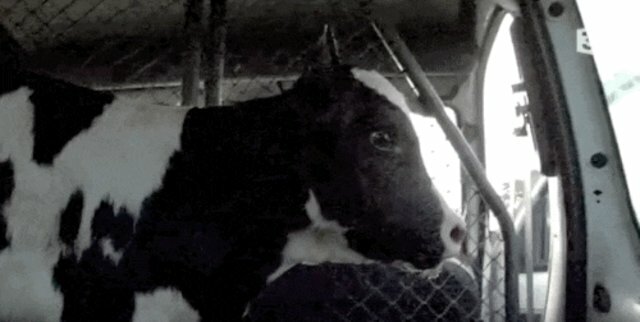 Calves are often taken away from their mothers within hours of birth, never to be seen again. Even at more "humane" facilities, where calves are allowed to nurse for a short period, male calves are shipped off to be killed for veal. Female calves will enter the same circle of birth and loss their mothers did. 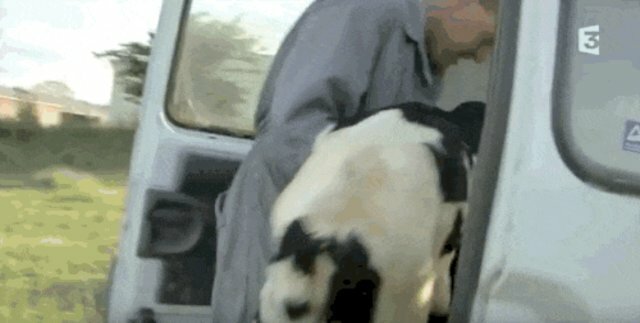 And as the video below shows, the maternal bond of cows is especially strong. Mother cows will sometimes cry out for days after their babies have been taken, and in lucky cases have even managed to hide their calves from their farmer.